The opportunities and barriers for the delivery of low carbon heat projects to tackle fuel poverty in rural communities across the UK are highlighted in a report recently published by the Cornish charity Community Energy Plus. Research, which was funded by the Eaga Charitable Trust, was commissioned to explore opportunities for rural community energy groups across the county to embrace low carbon heat technologies and provide affordable heating for all. 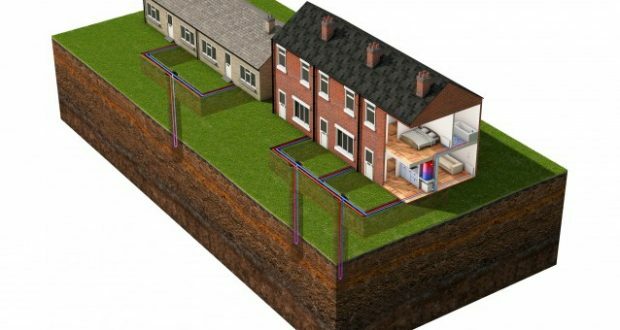 As part of the research they have looked at best case examples from across Europe and investigated the barriers and policy issues that are preventing a wider take up of low carbon heating solutions. Currently, compared to many EU member states, the UK is seriously lagging on progress to adopt low carbon and renewable energy technologies; while the general public are more familiar with renewable electricity generation from Solar Photovoltaics and on-shore and off-shore wind, producing heat from renewable sources has yet to capture the public’s imagination. The UK has a target to see 12% of our heating and cooling needs sourced from renewable energy by 2020, but by mid-2017, the latest statistics show we have attained just 5.5%. A commitment to decentralised policy and decision making in key locations such as Austria, Germany, Finland and Denmark, has facilitated a flourishing sector in small scale low carbon heat delivery and has driven community led initiatives in rural areas. Stable policies, financing mechanisms, grant and subsidy incentives and a cultural propensity to make use of linkages between rural employment and natural resources, have been key to success in low carbon deployment. Smaller scale projects emerging in rural areas are making use of forestry, agriculture, waste, solar and wind resources to reduce dependence on fossil fuels, decrease energy costs and increase the sustainability of their communities. In Germany and Austria the concept of the ‘Bioenergy Village’ has been a key driver for the rural development of low carbon heat, with a significant carbon emission reductions from over half to 97% achieved. Currently there is a gap that can be filled by local government taking a leading role, raising confidence and awareness, as well as backing financial support to facilitate rural low carbon heat in the UK. More effective finance mechanisms are needed, along with long term funding mechanisms and subsidies, to provide security and encourage investment and innovation that will decrease the costs of renewable and low carbon technologies in the longer term. Member States with the highest levels of deployment of low carbon heat have used carbon taxation as a key policy tool, to encourage the growth of low carbon energy markets. Although many rural, community-led projects are still heavily reliant on grant funding to make them economically viable, projects in Germany and Austria illustrate the effectiveness of building relationships between devolved administrations, community and voluntary organisations, energy companies, industries and other local actors such as farmers and strategic land owners. Projects are often supported by national finance companies who are willing to invest in small scale low carbon heat projects that, due to these proven and effective relationships, are no longer perceived to be high risk. The potential links that are evident in those countries with low fuel poverty levels and high deployment of low carbon heat, represents an opportunity to learn and apply lessons in the UK. Community energy offers an opportunity for developing low carbon heat in rural areas, but it will require a greater devolution of powers to local authorities and regional energy agencies to bridge the gap between national targets and local practice. Dr Tim Jones, Chief Executive of Community Energy Plus and co-author of the report, hopes that the charity’s work to set out the opportunities and barriers in a suite of materials designed for use by policy makers and community energy groups, progress can be made towards the UK meeting its tough renewable energy targets.